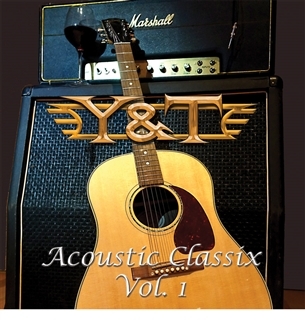 Y&T are returning to their catalog to put a new spin on a few of their classics with Acoustic Classix, Vol. 1. The EP, just recorded this month, includes "a few songs you wouldn't expect to hear acoustically, each with a different spin. This is a very special EP that gives Y&T fans a whole new way to enjoy these classic Y&T tunes." At this point, there is no sign of the album in the Amazon store, so it may be exclusive through Y&T's website.